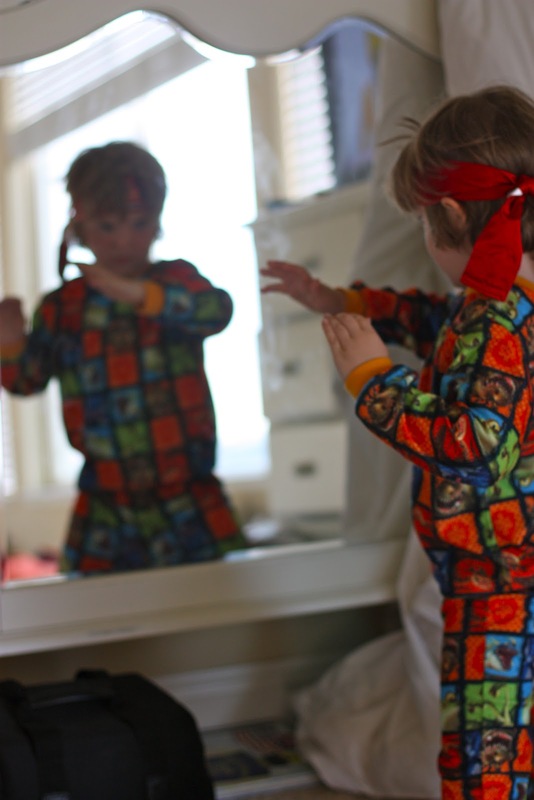 Deacon cracks me up... every time he puts on his ninja bandana thing he'll go to the mirror and practice his ninja moves. The best part?- the faces he makes. So.Funny. The second best part? He gets so into his ninja "twirls" (his word) that he'll fall flat on his booty... but he gets back and pretends that he meant to do that. Such a ninja.